Hi, as I mention early this week that I'll do some Shingeki no Kyojin fan artwork. I prefer and like to draw with pencil on paper so taking a picture of a drawing is not usually the best when you going to have it digitized to a computer, especially if you going to color on PC! The problem is that the outline gets to dirty and wierd, so a scanner is the best solution! An A3 scanner! I have an another art of Levi that I also did that I'll post on upcoming Wednesday. I'll put some more effort into that one for sure. 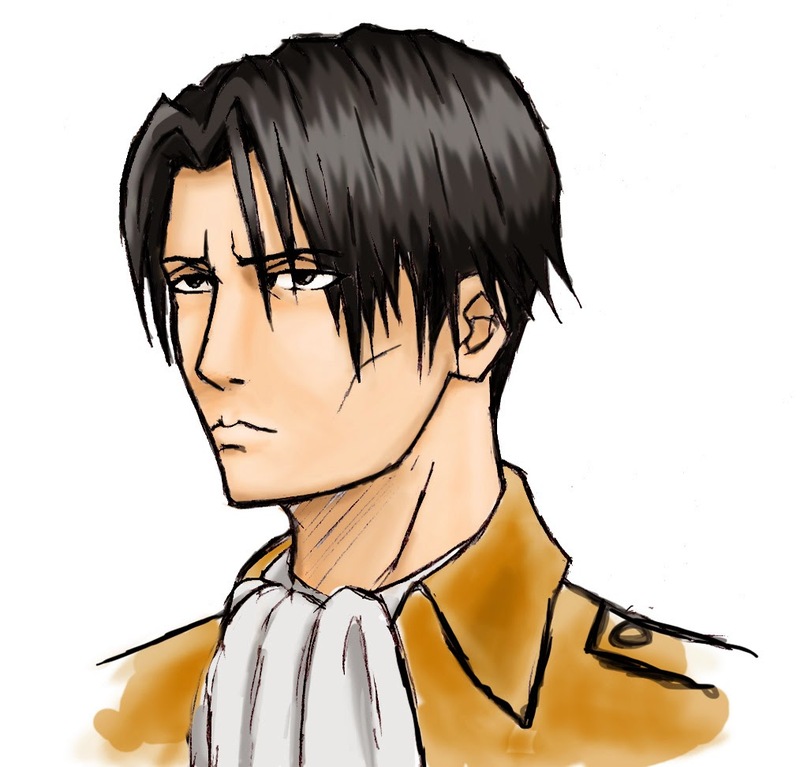 Levi face one was more like a warmup and color test for me. I haven't done the coloring on PC for a long time now due to all the script writing for Warrior Legend. Well having that said, I been thinking that Wednesdays will be the best day to follow me for fresh updates because that will also the best day for me to post something here, see you around!